Since starting my new job I’ve noticed that I don’t wear my own clothes as often when I’m home, working I’m always in uniform & when I come home I head to the gym & because I love my gym outfits they also fall into day wear after the gym. I don’t know maybe I’m simply becoming lazy with moving into our new home there constantly seems to be something to do, running around, ticking off my endless to-do list. But regardless now when I do have plans I love getting ready & deciding what outfit to wear. Lately when I have had plans, from meeting my best friends for lunch, to shopping with my mum I’ve loved going into my new wardrobe room to get ready. 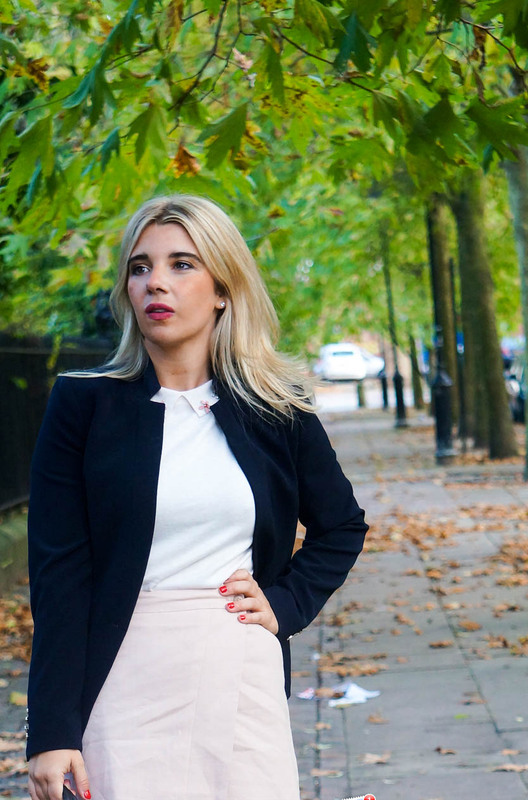 I have found myself picking out simple classic pieces that just work together, I’ve always been a dresses girl & still am but lately I’ve been changing it up with some new pieces which is quickly becoming my wardrobe. 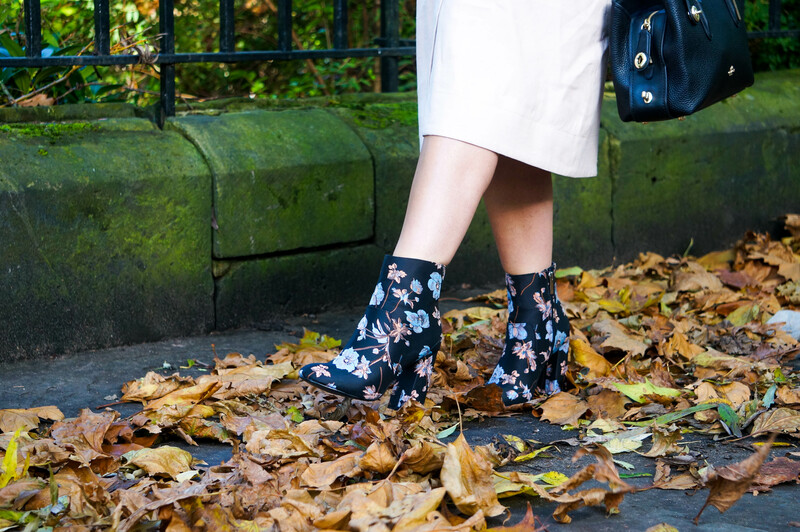 Wearing colour sometimes in Winter can sometimes by tricky I do love a Winter colour pallete, so with thtis outfit I loved adding my new floral boots. 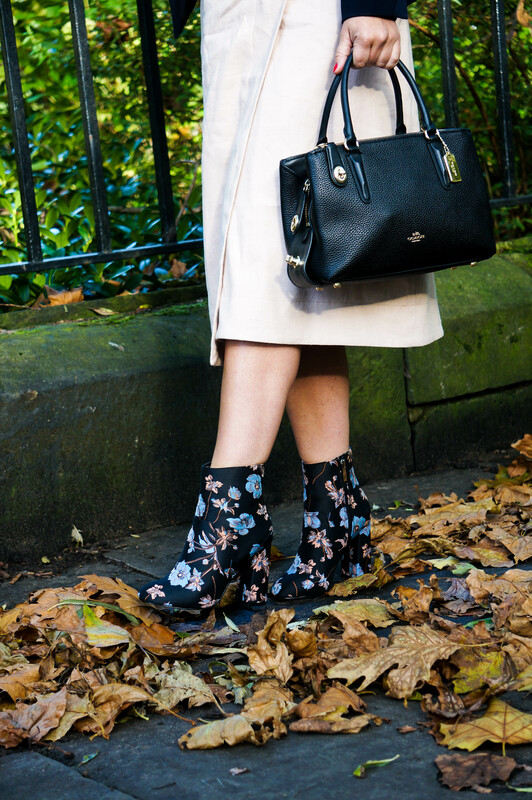 The floral embroidered flowers on the boots were the right touch to add a bit of a twist to the outfit, there just a great pair to wear over Winter, even with skinny jeans & a long overcoat. Coat: Ted Baker, Jumper: Warehouse, Skirt: Modern Rarity at JohnLewis, Handbag: Coach, Boots: V by Very, similar here. Thank you Kerrie, it’s honestly one of my favourites the fit it just perfect. Ah I’m so happy to hear that your starting a blog you definitely should you get so much out of it especially if it’s about something you love.